The first is Number 573. (País Vasco/Euskadi, Navarra, La Rioja) coving from St Jean Pied de Port over the border, through Pamplona, Logrono and as far as Burgos. The second is number 575. 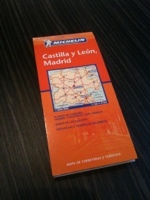 (Castilla y León, Madrid) but only the top half of the map is of interest to us as we traverse it from right to left. Through León and out at Ponferrada. The third is number 571. 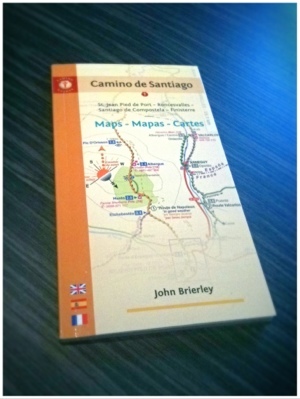 The guide books I’ve gone with are: “Camino de Santiago” by John Brierley. This is a series of maps in a small easily packed book covering the distance from St Jean Pied de Port through to the coast at Fisterra. The Route is separated into 36 “stages” and each has a clear map with the route running from the bottom of the page to the top. 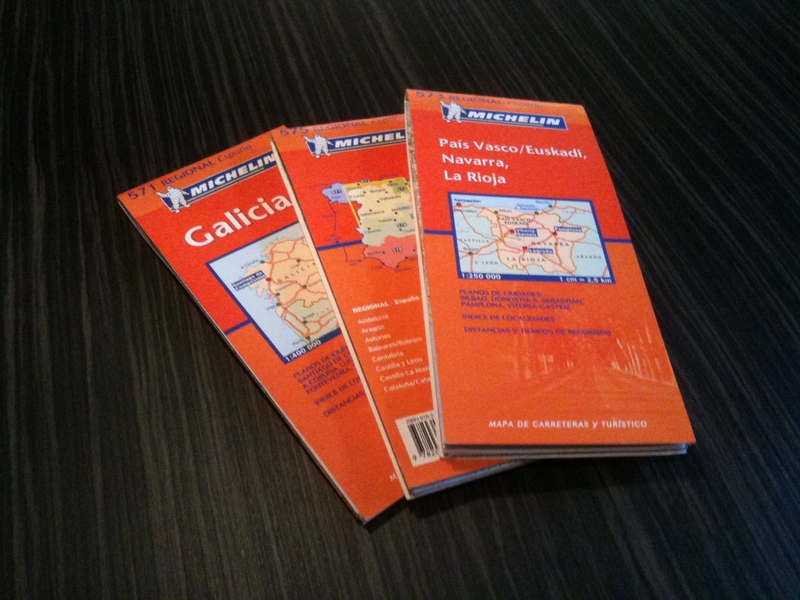 Clearly marked are not only the roads and tracks but also the main Camino route along with secondary, alternative scenic routes and detours to places of interest. The map shows, as you’d expect, places to stay but also the locations of drinking fonts. There are contour guides (a cross section of each stage showing elevation) which are of particular interest to planning how far you can cycle in a day! Also 16 town plans. The book is not cyclist specific though so extra thought needs to be put into each of the suggested routes. 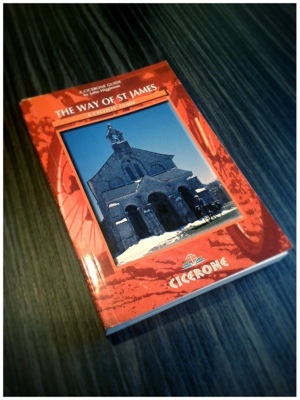 The second is “The way of St James, a cyclist’s guide” by John Higginson. 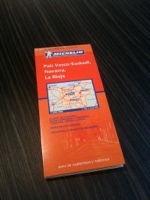 This book is specific to roads with a good surface for touring cyclists. It follows the original pilgrims route as closely as possible. 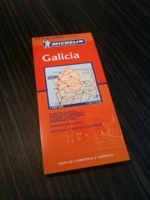 It covers the distance from Le Puy closer to the heart of France and ends at the east coast of Spain at Cape Finisterre. So this guide only really becomes useful from page 103 as it enters St Jean. The maps are very diagrammatic and although there are contour guides the detail is much better on John Brierley’s book. In fact, there is no way you could practically follow The map on the trail whereas John Brierley’s book could be used in conjunction with the marker posts alone. However, this book excels in its written description of the route. The detail is very good and will be my main source of information for when I want to put some miles in. Especially on the section where the original route follows close to the main roads, this book will be able to suggest the most practical to cycle, not just to dodge lorries…. Also, the Internet has been brilliant. I’ve found regularly updated lists of the Albergues on route and included in this PDF file is all the amenities each town has available and contact information for each. Great to print off and refer to on the trail! I’ll keep updating this post as I find more useful information sources. I’m keeping it simple at the moment and leaving out train travel etc. The Internet is a massive resource and to list all the sites on here I’m finding helpful will just clog it up. Besides, I think I’ve got my work cut out with all this……..